Godzilla is King of the Monsters and Savior of the City! Those were the news headlines during the aftermath of a royal monster rumble between Godzilla and its gigantic mother and child prey/parasite monsters (named Muto); leaving behind remnants and debris of what was once radiactive power plants and the cities of Hawaii, Las Vegas, and California. Well, not everything was destroyed due to the ultimate fight of history, some were caused by the insect-looking, radiation-eating parasite monstrosity which terrorized cities including onlookers elsewhere watching from their TV sets. Godzilla, despite being a subtle savior, had his own share of destruction, with its tsunami causing swim alone, not to mention how he can destroy structures just by walking, all the more the battle. Yet still, it defeated a Madonna and child monster tandem singlehandedly with sheer strength and laser-like beam coming from its mouth. It crushed the child monster onto a building and fed the mom with beams to its death. But of course, men and women, particularly specially trained personnel aided in one way or another: the elder Brody with his studies of echolocation and unusual tremors; the younger Ford Brody (his son, an EOD tech) who burned the mother monster’s eggs and maneuvered the last timed nuke away from the city’s shores on auto pilot; Ichiro Serizawa and his studies of such creatures; and many more. If the narrative above isn’t convincing enough as if it’s an actual real life story, then wait till you see the actual movie. Every scene comes to life including graphic designs of the monsters (Godzilla included), the city’s and sadly, ruins thereof and the epic battle between the hero and its the parasitic preys. Godzilla at least isn’t intentionally out for a destructive food hunting trip like the other giants. He went out into hiding underneath the ocean floor getting nourishment from the Earth’s radioactive core just to restore balance by pursuing and annihilating its own oversized parasites. Sadly though, the Hawaii tsunami part can be reminiscent of the tragedy which befell Tacloban City last year. 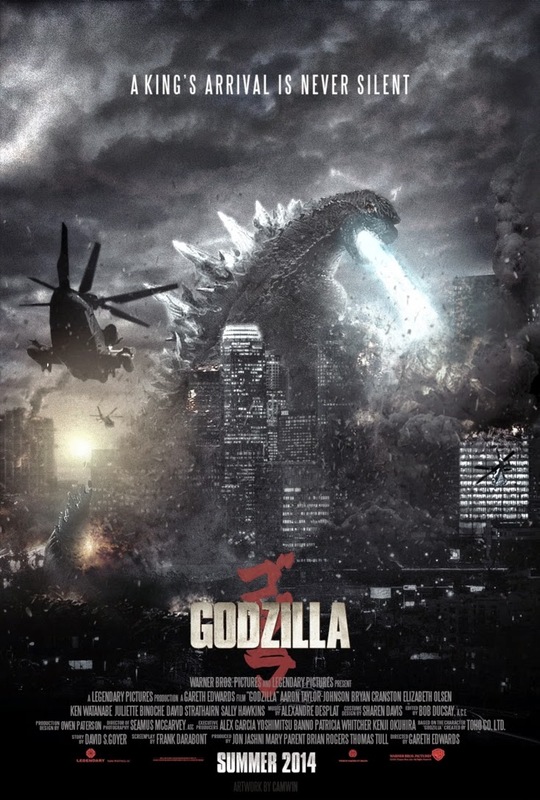 Two kids (pre-school, pre-secondary) and a teen we were with enjoyed the movie a lot although they didn’t understand Ken Watanabe when he introduced the name, “Godzilla” and they weren’t born yet when this character first rose into fame during the 1950s. Well, neither did we and we still wonder what kind of creature is Godzilla (dinosaur, alien, etc.?) to this day. My husband and I were also jesting why the U.S. still had military bases in Japan. It’s because any country backed up by Godzilla will be the world’s primary superpower. Kidding aside, this movie is worth watching on the big screen. Roar (mimicking Godzilla’s new sound)!! !